Sale fell through. Buyers loss your gain. Great family home or investment property. Lots of kitchen cabinets and counter space. New flooring in living room. New HVAC 2018. Beautiful large side deck, very private. Large back yard in Picket Fences. House backs up to easement. Back covered porch easily screened in. This home is being sold in as is condition. 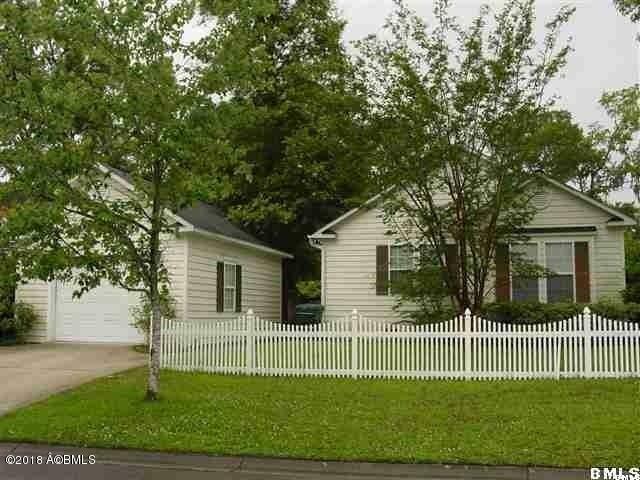 Needs new carpet and paint. . Picket Fences is 1 mile to PI and 6 to MCAS. Easy access to Bluffton, HHI, I-95. Close to shopping. 6 miles to downtown Beaufort.